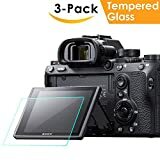 LCD Screen Protector fit Sony a7RIII A7R3 A9 A7II A7RII A7SII A77II A99II RX100 RX100V RX1 RX1R RX10 RX10II perfectly. Edge to edge, perfect fit and easy to install with a simple swipe, manufactured from the highest quality tempered glass with 100% bubble-free adhesives, bubble-free installation. 9H Hardness - Our screen protector for Sony a7RIII promising full compatibility with touch screen sensitivity and featuring maximum protection, Its 9H Premium Tempered Glass prevents the camera screen from high impact drops, scratches, scrapes, and bumps. It also protects your camera screen from sharp objects such as keys and knives, etc. 99.99% HD Clarity - The high-transparency provides you high-definition clear viewing. Hydrophobic screen coating protects your a7RIII screen against sweat and oil residue from fingerprints and keeps high-sensitivity touch response. High-Density Anti-Fingerprint Layer - QIBOX tempered glass screen protector will protect your device from scratches, dust, water, oil and so on. 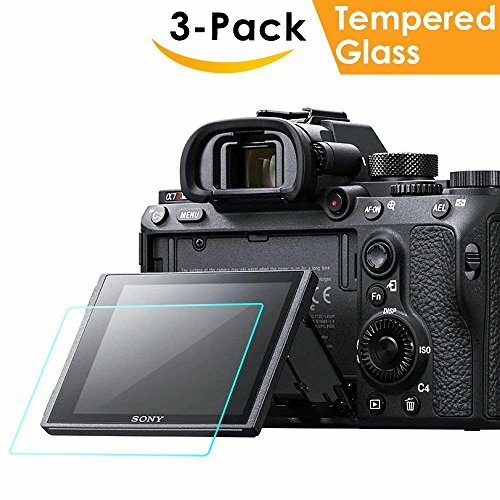 What You Will Get - 3 x Sony a7RIII tempered glass screen protectors, 3 x wet and dry cleaning kit, 1 x installation instruction.